Before the holidays we launched the X Games Video Content and asked our talented community of riders and film makers to shoot and edit a video set in the Winter X Games 2016 course. We wanted to see how you approached each slopestyle feature, ride the super pipe, and what big air means to you. Your voices were heard: we received over 20 submissions! Pontus Olsson is back on the podium with another amazing edit showing off his ridiculous riding skills. Possibly one of the smoothest skiers in the community, Pontus captures the authenticity of the X Games course perfectly! Pontus walks away with 2,000 in-game Credits and a SNOW t-shirt and sticker pack! Second place goes to Buler with his electrifying and high-paced edit showing off both skiing and snowboarding. We loved Buler's creative hand drags and post-process effects! Buler will receive 3,000 in-game Credits and a SNOW t-shirt and sticker pack! 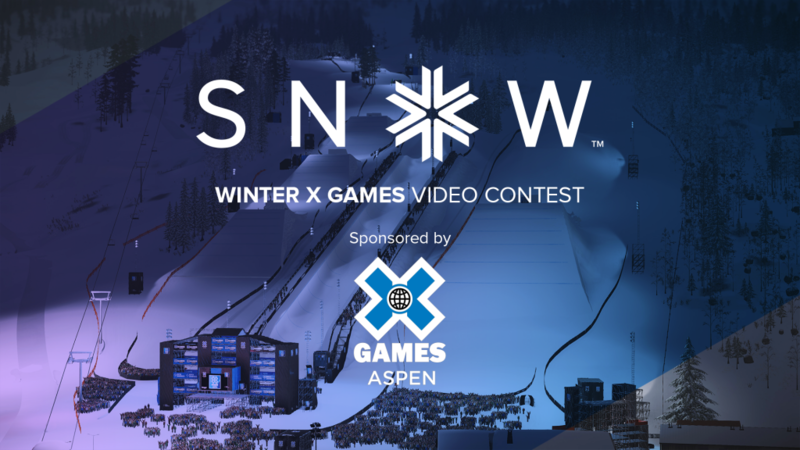 The winner of the Winter X Games 2016 Video Contest is Nibiru! Nibiru stunned the entire team with a fast paced, cracker of an edit. From start to finish you feel the energy and intensity that makes the Winter X Games such an amazing event. We're all extremely impressed and look forward to hopefully seeing more edits from Nibiru in the future! Nibiru wins a custom in-game hoodie that we will design together, 5,000 in-game Credits, a SNOW t-shirt and sticker pack, and a mystery "X Games Grab Bag" that the good folks at ESPN will be providing. Thank you again to everyone that submitted an entry! More video contests are planned for this year, so stay tuned for your chance to win!